The February 2019 WASDE is tomorrow and it is a combination of the January and February reports. We will see Quarterly and Annual Stocks and Winter Wheat Seedings. This has the potential to be a volatile report for the grain and oilseed markets. Make sure you take a listen to the latest Turner’s Take Podcast! 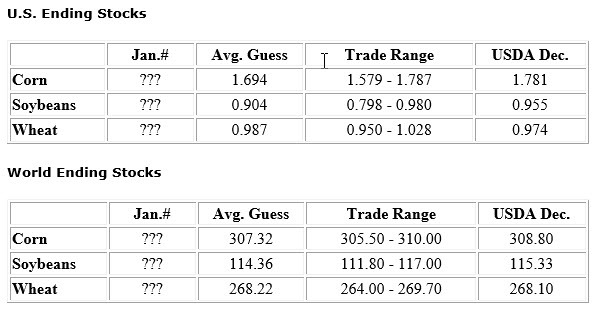 Below are the industry guesses for US and Global Stocks. The trade will be looking for corn under 1.7 billion and soybeans still above 900mm US old crop ending stocks. World Ending Stocks are expected to be steady from the last Dec report. 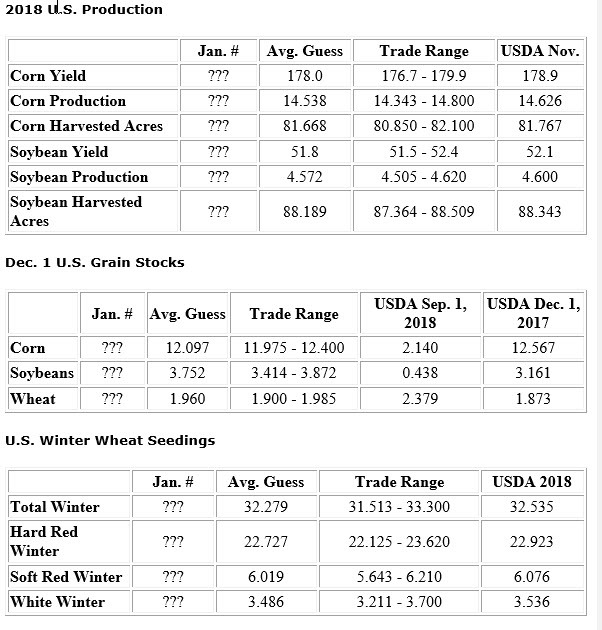 The next set of data I will look at is US yields, Dec 1 Stocks, and Winter Wheat Seedings. Corn and soybean yields are expected to be lower. Soybean stocks should rise, and winter wheat acres should be lower. Finally, we will look at South American production. The number on this report that jumps out the most is Brazilian soybean production. The USDA may say 120mm mt but the market thinks it is closer to 115mm mt. We’ll see. The USDA does not reduce production forecast as fast as the market does. After the close tomorrow we will have an updated spreadsheet and podcast with our thoughts going forward.